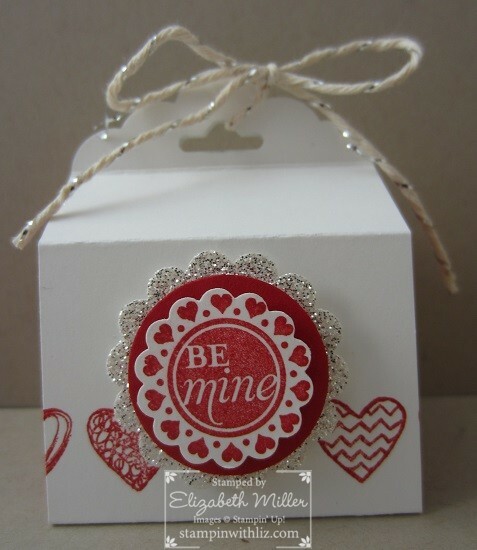 I have done it again, but this time with the Scalloped Tag Topper Punch! Since it is all about the chocolate, this freakin’ cute holder holds 4 Hershey Nuggets. Want to make one yourself? The cardstock base measures 2” x 7-1/2”. Then you will score at 3/4”, 1-1/2”, 3”, 4-1/2”, 6”, 6-3/4”. I secured the chocolate inside with glue dots.